This Aug. 10, 2017, file photo shows the Trump International Hotel in Washington, D.C. The hotel, located blocks from the White House, has become both a tourist attraction in the nation's capital and also a symbol of Trump's intermingling of business and politics. A federal appeals court agreed Thursday to take up a case accusing Donald Trump of profiting off the presidency in violation of the U.S. Constitution, giving the president's legal team its first major victory in the case. The order issued by the U.S. Court of Appeals for the Fourth Circuit in Richmond, Virginia, hits the pause button on the ongoing federal court case in Maryland before deadlines to respond to subpoenas issued earlier this month seeking tax returns, receipts and other records from 13 Trump businesses and other entities. It came just three days after Justice Department lawyers filed papers seeking a writ of mandamus, a sort of appeal, criticizing U.S. District Judge Peter J. Messitte and arguing that that the "intrusive" discovery that has already begun would distract the president from his performance of his constitutional duties and could cause separation of powers concerns. For Justice to succeed at the appeals level, they must meet a demanding standard that would partly rest on showing Messitte's decisions to be clearly wrong. Oral arguments before the three-judge appeals court are scheduled for March, delaying what had been a brisk discovery schedule set in the district court by several months. The order also notes that lawyers should be prepared to also address substantive issues such as whether the plaintiffs in the case can even sue and, if victorious, compel the president to stop violating the Constitution. Justice Department spokeswoman Kelly Laco told The Associated Press the "DOJ is pleased" by the order. Maryland Attorney General Brian E. Frosh and D.C. Attorney General Karl A. Racine issued a joint statement calling the decision merely "a procedural one" and "not a ruling on the merits of our historic lawsuit against President Trump." "We firmly believe that the federal district court got it right when it allowed us to move forward with this action and discovery. We look forward to defending our position before the court and continuing our efforts to stop President Trump from violating the Constitution by using his office for profit," they said. The filing is the second effort by the president's Justice Department legal team to delay or stop the proceedings. Messitte responded in November to Justice Department efforts for a mid-case appeal with a somewhat blistering opinion that said merely disagreeing with the court doesn't constitute a required "substantial" reason for appeal. The Justice filing Monday used similarly strong language against Messitte, calling the district court's reasoning in allowing the case to go forward "fundamentally flawed" and lambasting it for having "clearly abused its discretion." Justice has argued that the emoluments clause in the Constitution does not include payment for hotel stays. A first round of subpoenas filed Dec. 4 target 37 entities, including 13 Trump businesses and the federal agency that oversees the lease for Trump's Washington hotel. 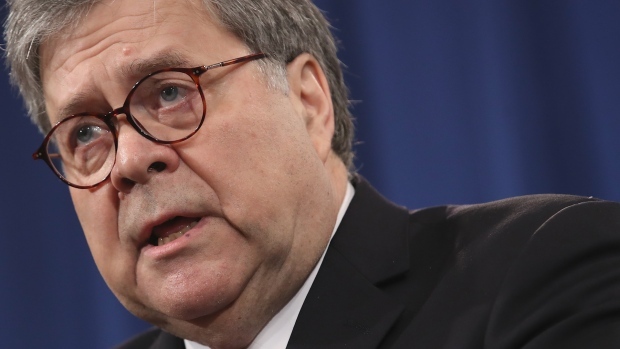 Subpoenas were also sent to the Department of Defense, General Services Administration, Department of Commerce and Department of Agriculture, all of which have spent taxpayer dollars at the hotel or have information on Trump's finances relevant to the case.